Home » Makeup Tools » Is Kids’ Makeup Better Than Adult Makeup? Is Kids’ Makeup Better Than Adult Makeup? Full face makeup using ONLY HIGHLIGHTER challenge or full face using ONLY LIQUID LIPSTICKS challenge are so last week. 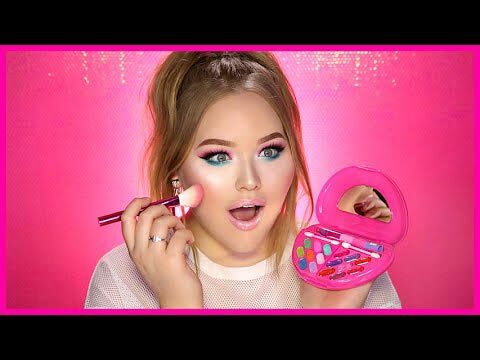 Youtuber and beauty guru Nikkie de Jager of NikkieTutorials took it up a notch and attempted to do a Full Face with Kids’ Makeup Challenge recently. Before this video, some of us didn’t even know that kid’s makeup existed. While we girls struggle just to get our liner on fleek, Nikkie managed to pull off a full face of makeup by just using kids makeup. And it’s going Viral. Nikkie has been a huge beauty influencer. Last year, Nikkie revealed that her favourite face primer was Nivea men’s shaving balm and she literally told us to steal from our man his beauty products with even Kylie Jenner followed suit. And now she makes us want to buy makeup off the kid’s aisle. Although the ‘Full Face using Kids Makeup’ challenge was initially started by Youtuber Lupita from MakeUpByPita last year but it did not get the hype that Nikkie’s video received. Nikkie pretty much reivented it. Her video has achieved over 13.9 million views in 3 weeks. INSANE, RIGHT? Now more and more beauty vloggers like Jeffree Star, Bunny from Grav3yardgirl, Gabriella from Velvetghost, That’sheart, Tati from Glamlifeguru, Stefani and Tracy from EleventhGorgeous have joined the bandwagon and are trying their hand at Kid’s makeup. I know, all of you must be thinking kids’ makeup? Really? Where do you get it? Do they have foundation? And concealer? Do they have any color options? Or eyeliners? Do kids need makeup? Eyeshadows that have more fallout than pigment? And what about brushes? Eeew! And that’s exactly what we thought. But Nikkie de Jager had a solution to all our questions. Her foundation had no coverage what so ever but some of the eyeshadows and blushes worked like a dream. One may argue that they are professional beauty vloggers hence they can use anything and make it look like a million dollars. But Buzzfeed team Ladylike also tried Children’s Makeup and voila! Some of them looked great! Bunny from Grav3yardgirl did an amazing job with her full face of Kid’s makeup only challenge. The blogger bought her kid’s makeup from Claire’s and Hello Kitty. Brands like Barbie also have kids makeup these days, who knew? However, Lupita did her challenge truly,using only children’s makeup from the toy store. You can find kid’s makeup online on Amazon too. The products do not contain high quality ingredients that high end makeup from brands like Tarte, KatvonD, Urban Decay or YSL, etc may have but they sure are expensive ranging from $20-$40 a piece. Jeffery Star’s Kid’s Makeup Challenge. Nikkie, Bunny and other vloggers did remark that a few products ‘do nothing for their faces’, ‘eyeshadows are only shimmery and glittery’, ‘makeup smells like chemicals or perfume’, ‘lipsticks are only glossy and sticky’ and even ‘brushes that make the makeup look streaky” however they still slayed their makeup looks in the end. Buzzfeed’s Ladylike tried the full face with Kids’ makeup only challenge. Whatever they may say, the end result of their Kids’ Makeup Challenge looked gorgeous on all making us question us “ Why have we been buying anything but kids makeup all this while?”. While Nikkie totally looked like a Disney Princess, Gabriella rocked her pink sunset eyes. 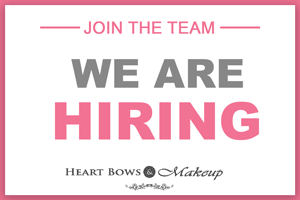 I mean, we can’t get that beautiful and perfect makeup look with our adult high end makeup. Our very own Indian Vlogger Shreya Jain from Sjlovejewelry also tried her hand at the challenge and came up with a lovely look. So yes, even Indian kids makeup ain’t so bad afterall. Tell us if you would ever dare to do a complete face just with kids makeup and what do you think about the challenge? 10 Best Yoga Poses For Clear & Glowing Skin !